Washington, D.C.: One hundred years ago, on November 11, 1918, the horrific guns of August were finally silenced at precisely 11:00 AM Paris time with the implementation of a long-implored armistice. More than forty million men, women, and children were casualties of World War I — including some 117,700 Americans who were amongst the 9-11 million deaths of military personnel. 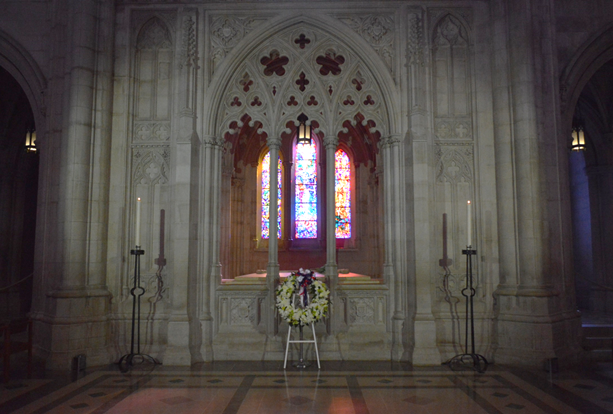 Recalling the faith which sustained that war-weary world, the United States World War I Centennial Commission and the Washington National Cathedral hosted a Sacred Service of hope and remembrance on Sunday as part of the World War I Armistice Centennial. The moving interfaith celebration included three calls to worship by clerics of the Muslim, Jewish and Christian faiths; patriotic songs and a posting of the colors; poetry selections and other stories from the Great War; scripture readings from the Psalms, Ecclesiasticus (Sirach) and the Book of Isaiah; a prayer for the departed; the playing of Taps; and congregational singing of familiar hymns. The service also included a touching tribute simply called the Bells of Peace: a moment of silence as the Cathedral’s bourbon bell tolled 21 times – the highest military honor accorded to those who have made the ultimate sacrifice. The ecumenical aspect of the service offered a truly fitting testimonial to the men and women from all faith walks who served their respective countries during World War I. 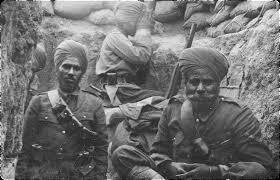 Besides the mostly Christian make-up of the main combatants of the Great War, soldiers and sailors from Hindu, Muslim, Buddhist, Jewish, Sikh, Native American, and other religious worldviews all found themselves engaged in the fighting in the trenches, in the air, and on the high seas. Beseeching help and guidance from The Divine with thoughts and prayers of “Hope for Peace Among Nations & Peoples” were Congressman Ted Poe (R-TX) who read an excerpt from Woodrow Wilson’s Presidential Proclamation for Thanksgiving Day, 1918; Dr. Richa Agarwala of the Chinmaya Washington Regional Center; William Aiken, President of the Interfaith Conference of Metro Washington Soka Gakkai International Buddist Community; and Harvey Pratt, Cheyenne/Arapoho Tribes. Fazia Dean, Outreach Coordinator of Dar Al-Hijarah Islamic Center; Susan Sloan, Assistant Regional Director of AJC Washington; Cannon Leonard L. Hamlin, Sr., of the Washington National Cathedral; and U.S. Army Chaplain Chris Wallace concluded the ecumenical entreaties. 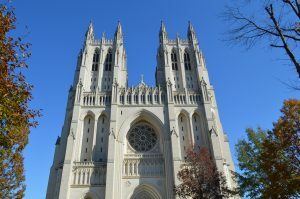 The Baltimore Post-Examiner joins with all who worshiped at the Washington National Cathedral yesterday in remembering those who perished in World War I – and in the heartfelt hope expressed by the aforementioned individuals in the following prayers. This year we have special and moving cause to be grateful and to rejoice. God has, in His good pleasure, given us peace. It has not come as a mere cessation of arms, a mere relief from the strain and tragedy of war. It has come as a great triumph of right. Complete victory has brought us, not peace alone, but the confident promise of a new day as well in which justice shall replace force and jealous intrigue among the nations. Indian soldiers from several faith walks served in the British Army. May those frightened, cease to be afraid, and may those bound be free. the children, the aged, the unprotected – be guarded by beneficent celestials. born in every form sharing in the web of life be safe, be happy and be free. 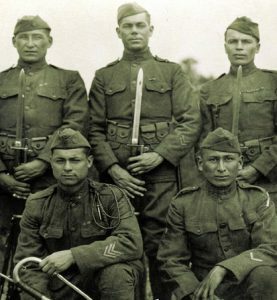 Some 10-13 thousand Native Americans served during WWI. 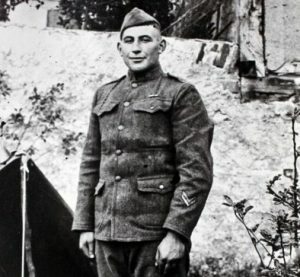 Posthumous Medal of Honor recipient Sgt. William Shemin. “…Sgt. Shemin served at a time when the contributions of Jewish Americans in uniform were too often overlooked,” said former president Barak Obama.